The PACIFIC INTERMOUNTAIN EXPRESS became the largest trucking company in the world in 1956. 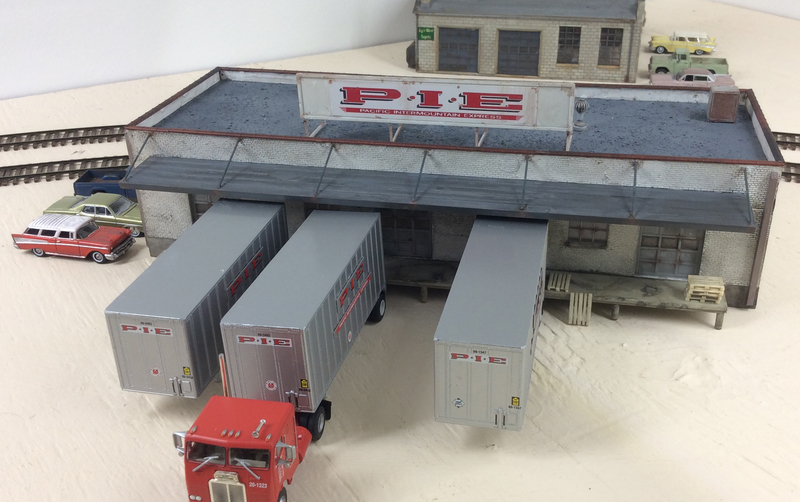 By 1946 PIE had 535 employees and was growing rapidly through many acquisitions in the late 1940s and 1950s. By the mid 1960s P.I.E. extended service to the east coast through more acquisitions, having 67 terminals in 29 states. In 1973 the company was purchased by IU International, and in 1983 merged with Ryder Truck Lines, forming Ryder/P.I.E Nationwide. Sadly, by 1989 loses were staggering, and the company was sold again, absorbing Transcon Lines. Loses continued, and in 1990 P.I.E. filed for bankruptcy. 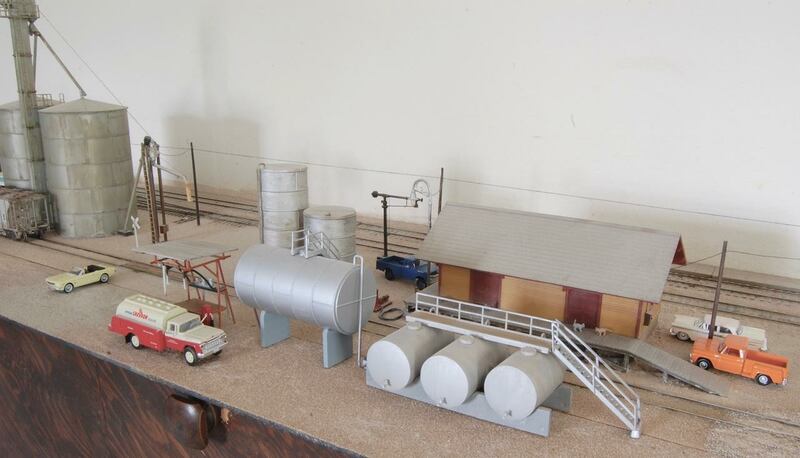 However, on the RailsWest layout, the PIE is living it up in the late 1960s (sometimes early 1970s). Small but often busy place. Next post will share its 1990 appearance. 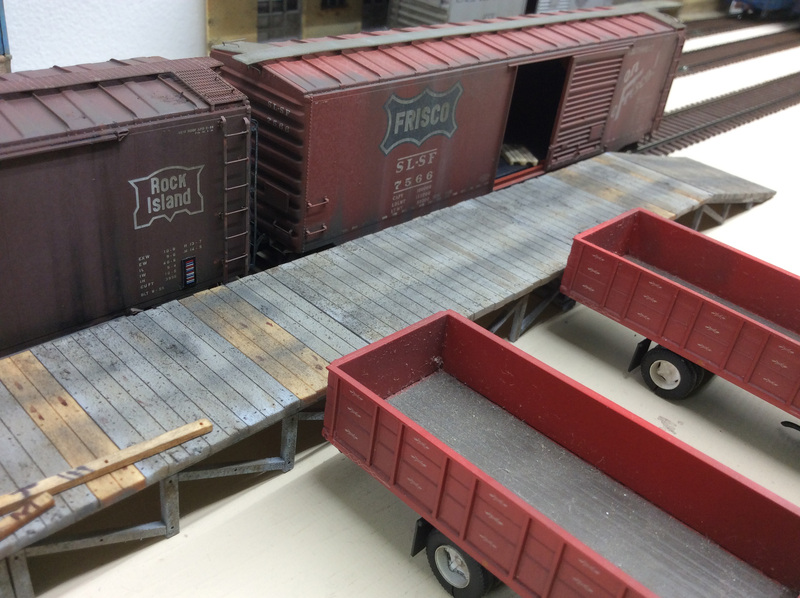 Readers on this blog will recall a number of posts related to making your freight cars dual era. 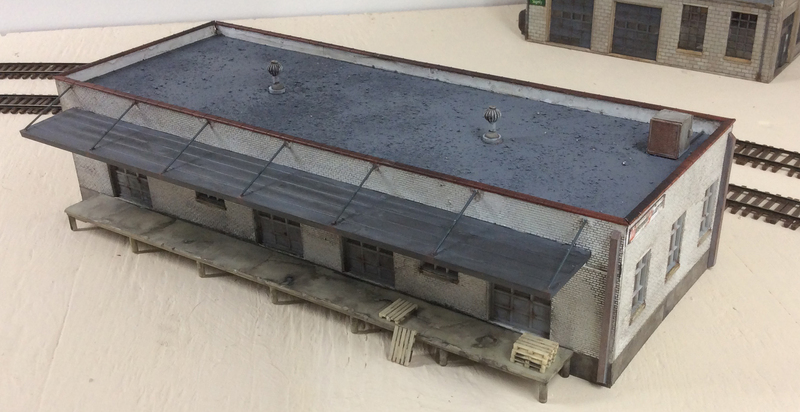 I often make one side of the car appropriate weathering wise and other identifiers (COTS, ACIs, etc) for one era and the reverse side of the car appropritate for another. Roofwalks obviously can put a crimp on this strategy depending on the breadth of your eras. This works well if you have a shelf layout where only one side of your car is normally visible. With this post, I want to illustrate a dual era structure. By changing signs and surrounding details, one can backdate or “forward date” a structure. 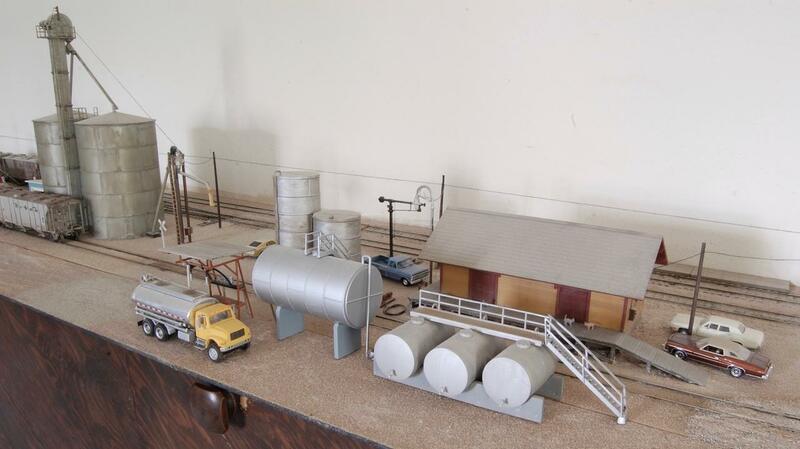 When I lived in Roswell, NM, in the early 1990s, I often drove by a truck freight terminal. 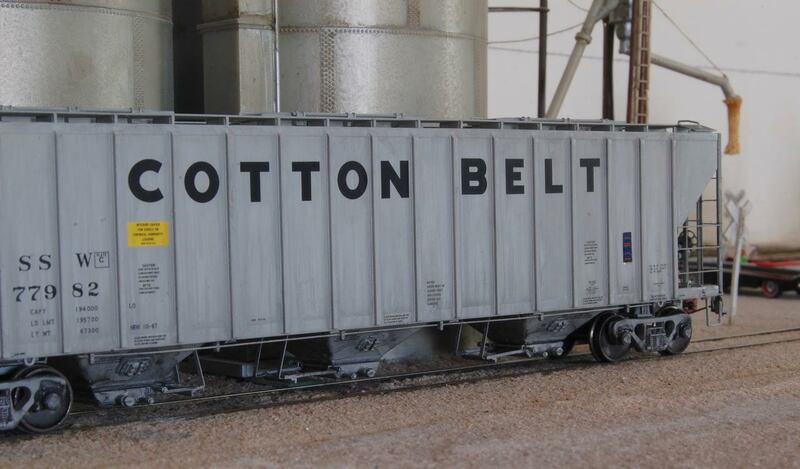 I often thought how I’d like to have a non-rail business such as this. 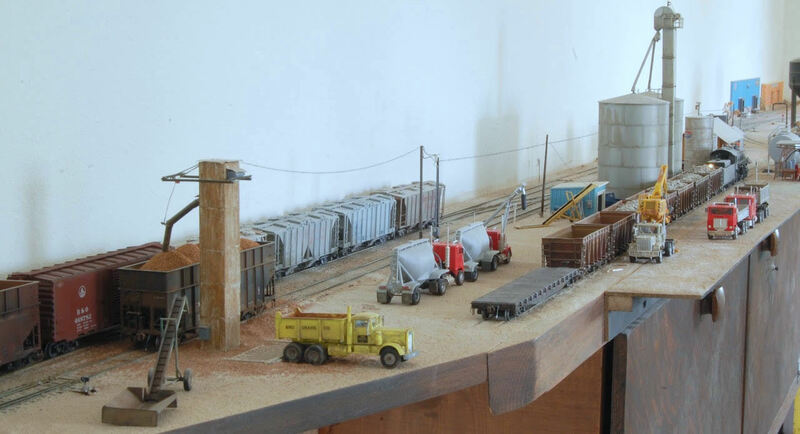 By changing out the trucks and trailers from time to time, one could introduce a little variety on the layout. 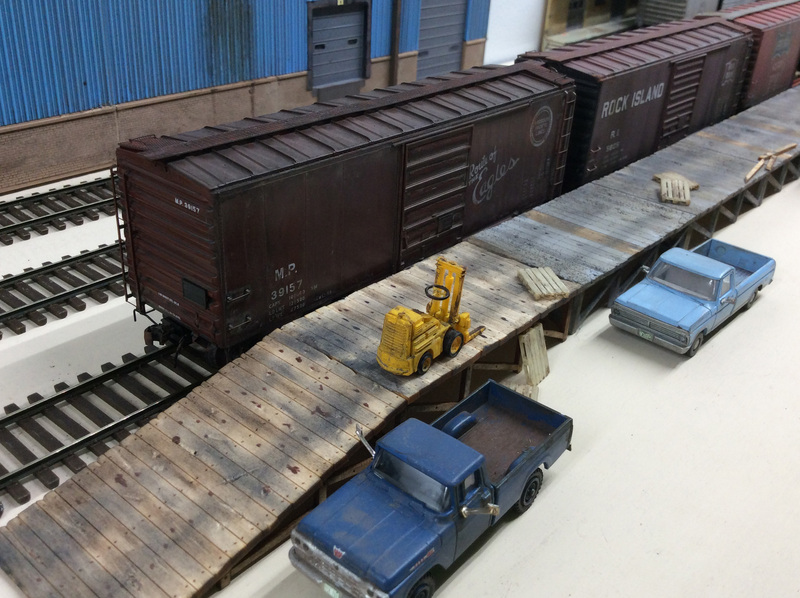 Sometimes the terminal was quiet, other times, there’d be many trailers parked at the dock. 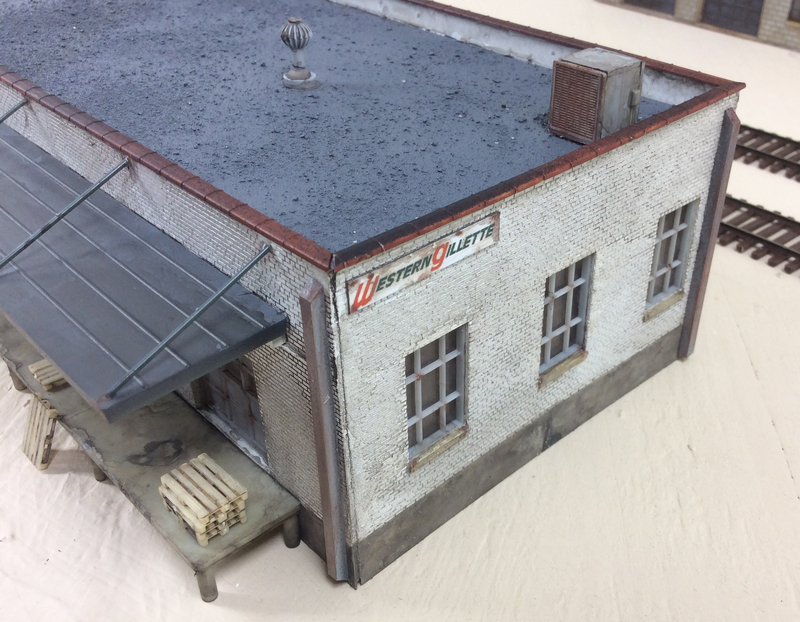 Ok, here is the building I made from leftovers of two Grocery Distributor kits. Nothing too fancy. This is what it looks like with no details to give it context, to evoke an era. There is one lone sign that I attached to the building. Could signal that another company uses the facility from time to time or it could be the relic of a long ago era. Actually a pretty fun building to kitbash. I only had to cut one large door opening and I had to remove the second story. It is compressed a little, but it is adequate to suggest a viable business. Next post, this building will be detailed out as a Pacific Intermountain Express terminal in the late 1960s. 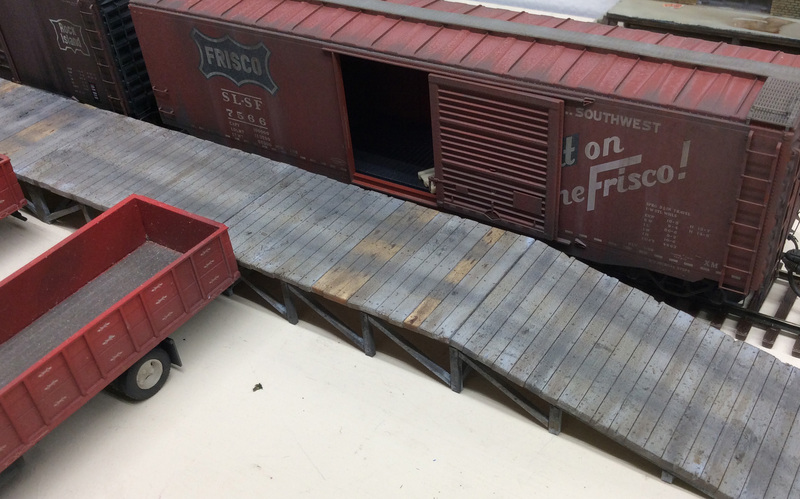 Many of us put a lot of work into having just the right era freight cars and locomotives. A bit of effort on your automobiles and trucks can also help evoke your desired era. It is not always easy to research the date of some vehicles, but it is worth your time as shown below on B. Smith’s Limpia Canyon Northern. Doesn’t have to be perfect, but getting close will really make a difference. You can blame it on pictures like to above ones. Change is the only constant for me it seems. RailsWest is evolving a bit more. 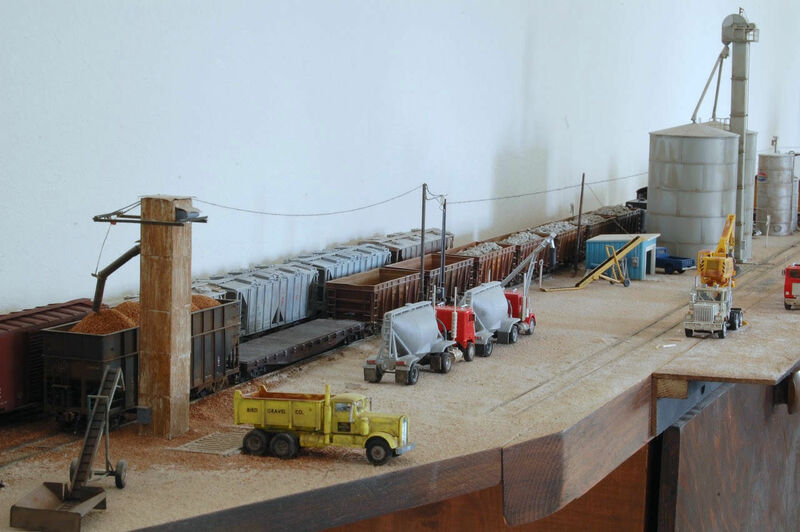 As a 10-11 year old kid, I fell in love with railroads chasing (on foot) ATSF, MP, SP, Rock Island, BN and MKT trains. I was thrilled when I saw F units. Not sure why, I didn’t know at the time they were on borrowed time. 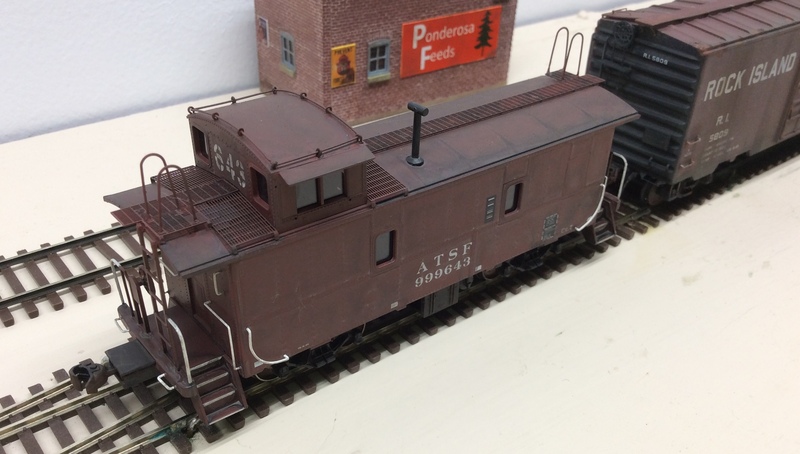 My first loves were F units, first generation GPs, 40-foot boxcars, scattered piggyback cars and…cabooses! 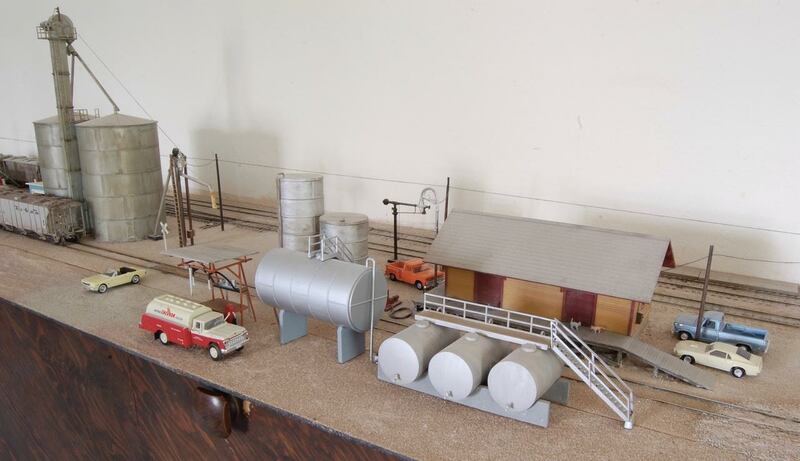 Recently, after absorbing numerous books on the early to mid 1970s, such as Santa Fe on the Great Plains By Roger Ziegenhorn and Robert D. Walz (Santa Fe Railway Historical and Modeling Society) and Trackside around Kansas 1960-1975 with Lloyd E. Stagner (Morningsun) and working with B. Smith on his Sanderson posts, I realized that I really wanted to turn back the clock just a bit to capture more of the era that first drew me into railroading. 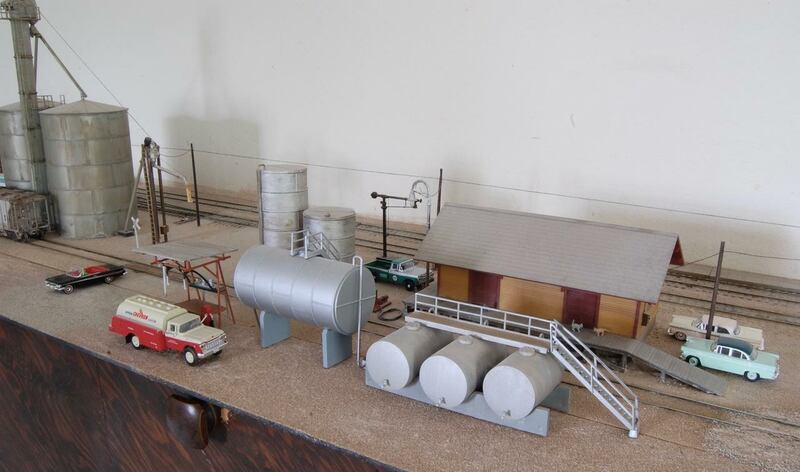 I now envision the layout as a “stage” that depicts the American West in the early to mid-1970s. 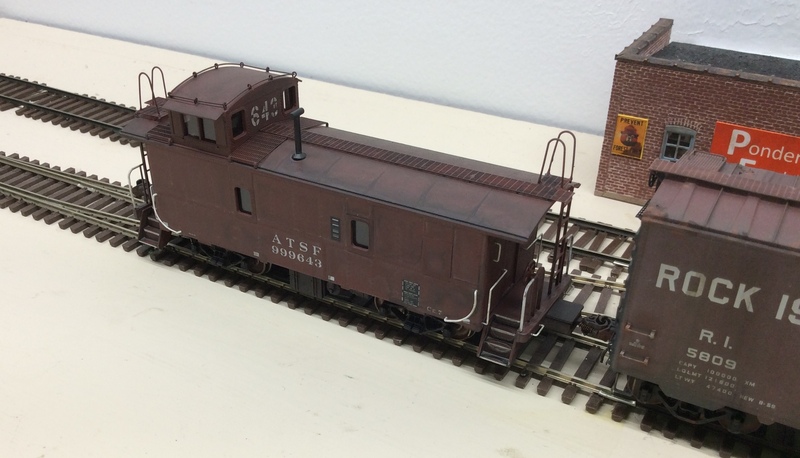 Though I am leaning more towards ATSF right now, I plan over time to have one or two first generation locos of each road suitable to run a branch line local out to Carson. The Carson County Railway will take it from there usually. I love each of these railroads and recreating a branch operation will bring alive my favorite chapter in RR history which coincides when I first fell in love with trains. 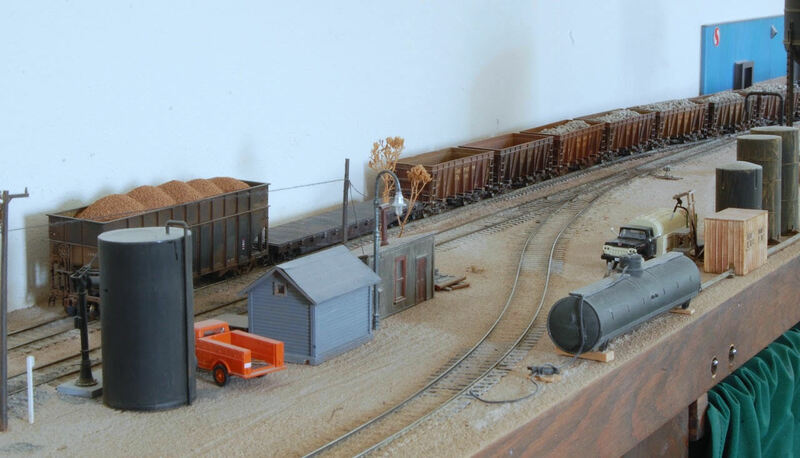 Again, the excitement of running to the rails to watch freights when I was about 10 or 11 was amazing. 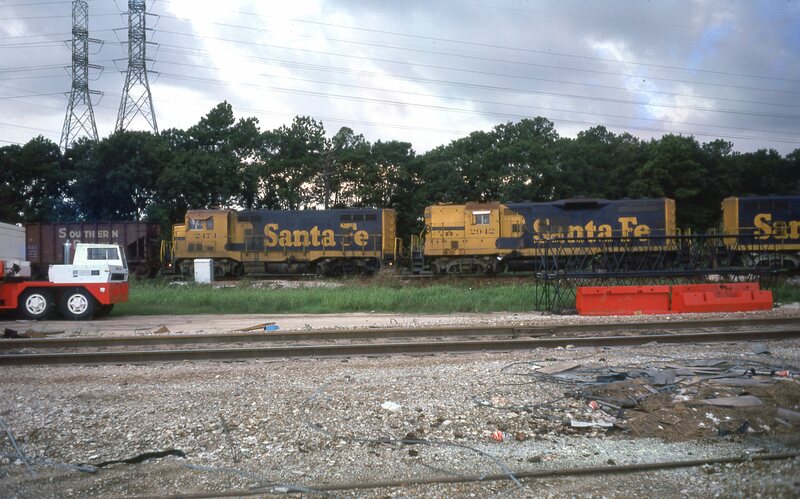 The standout is ATSF F units in the billboard and red, blue and yellow bonnet schemes. After that is first generation MP units for some reason in the old buzzsaw logo scheme. I think of heat and the smell of creosote as faded blue GPs ease past me with the red dot under the cab window. I think I saw a few ex-CB&Q units but I don’t have specific memories but that would have made sense. I definitely remember CB&Q cabooses. Beat up RI and MKT GPs are also great memories slowly passing by the old golf course and baseball fields where I played as a kid. Catching Frisco action AR in the late 1970s was incredible as well. Just wanted to explain what’s going on. 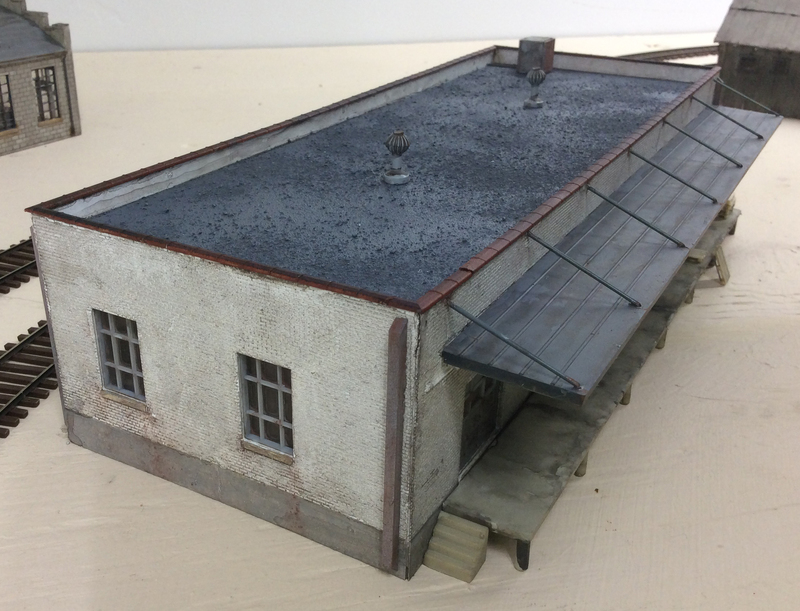 So, having said that, this is a little of my most recent weathering efforts. Here are a couple of Tangent’s MP 4750s. Tangent nailed these cars! Just a little light weathering and they are truly RTR and ready to robustly bring my childhood memories back. They just look so right. I love these cars. 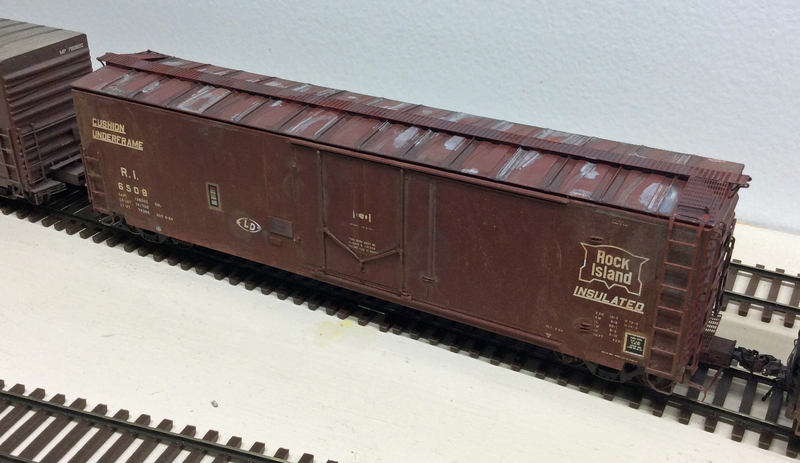 Next, is a Kadee IC boxcar. Kadee did their usual solid job on these cars. Got to have some 40 footers ready to go. This is one of my favorites. I remember seeing feed being unloaded from one of these in Houston about 1978. Kadee cars weather very nicely. 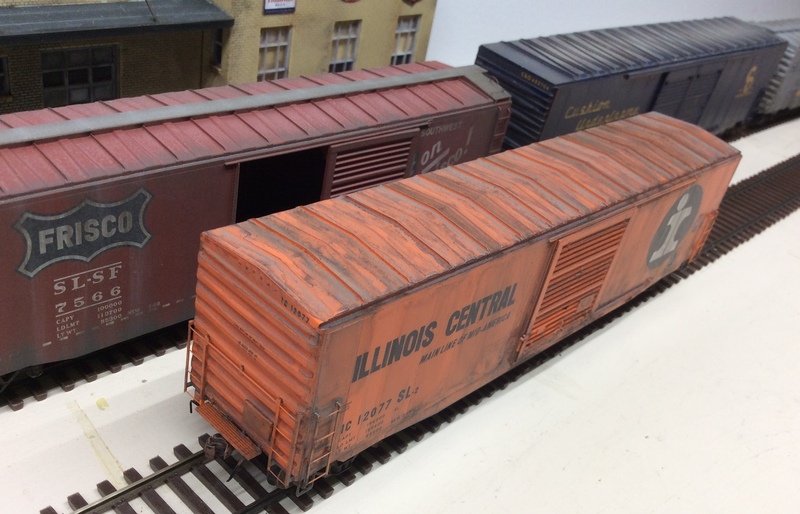 This Centralia caboose weathered very nicely as well. “Re”-welcome to the mid to early 1970s. 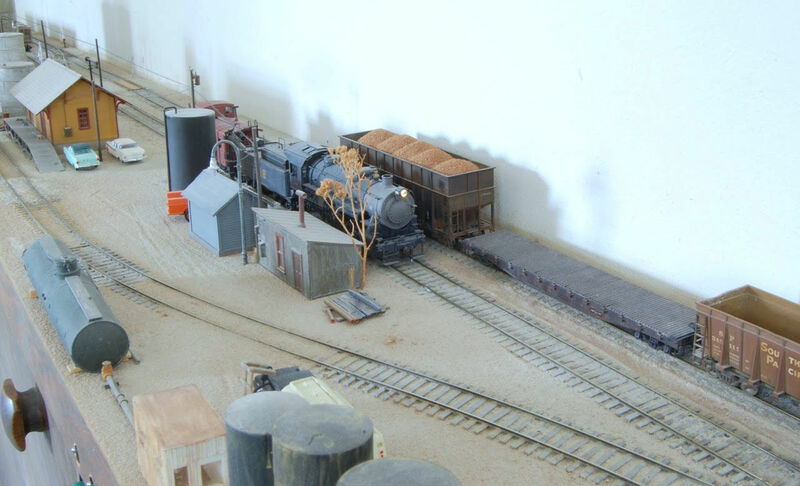 Today’s run out of Sanderson was somewhat delayed waiting for the tank car to finish being unloaded. Then the crew found a longer than normal train awaiting them at the interchange. At least it was there when they arrived. And the cement cars were all together as were the cars of rip-rap. The return trip to Sanderson took somewhat longer due to the greater tonnage, but the train made it with hours of service still remaining. 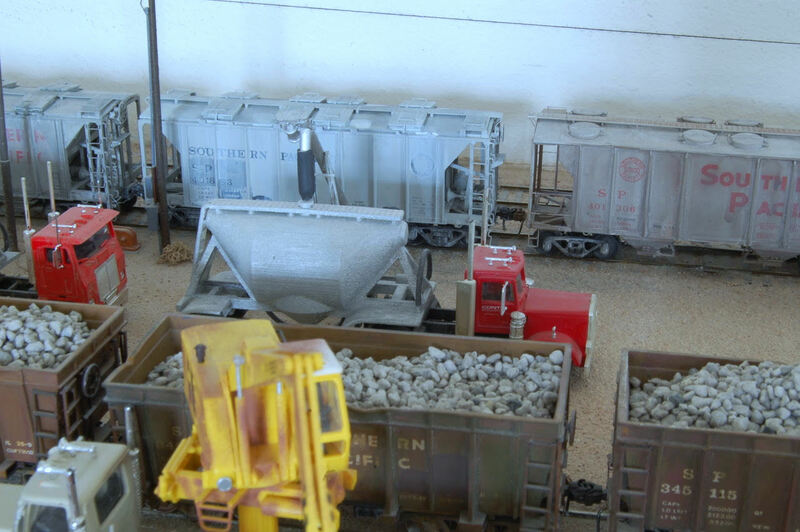 Behind the engine were five cars of riprap, four cement cars, a box car for the team track (bagged feed), two empty extended height open hoppers for scoria loading, and the caboose. 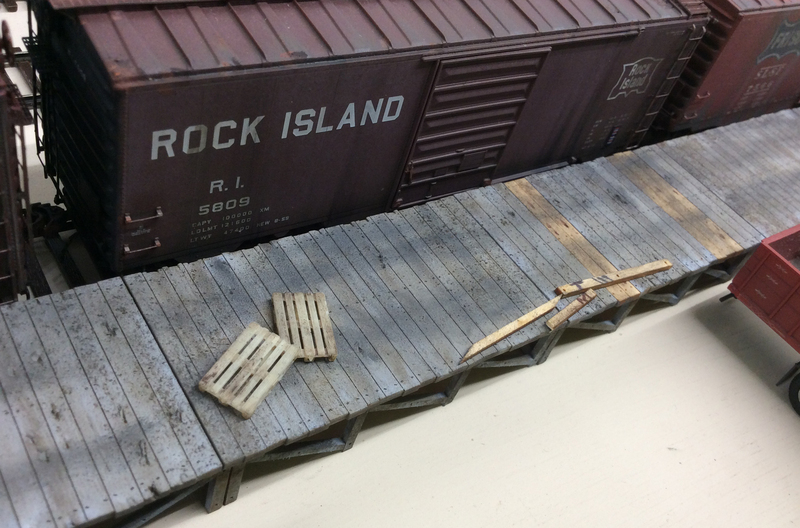 The crew cut off the train behind the riprap cars, pulled ahead, and then backed into the team track to pick up the three empties there. The load of scoria was added to the rear of this pull. Fortunately today there were no cars for Safeway or Western Wool that had to be run around so the scoria load and three empties were then spotted on the east end of the main. Much to the relief of the project manager, the five loads of riprap were then spotted on the team track for unloading. Not taking time to relocate the unloading crane, the riprap car adjacent to the crane would be unloaded first. 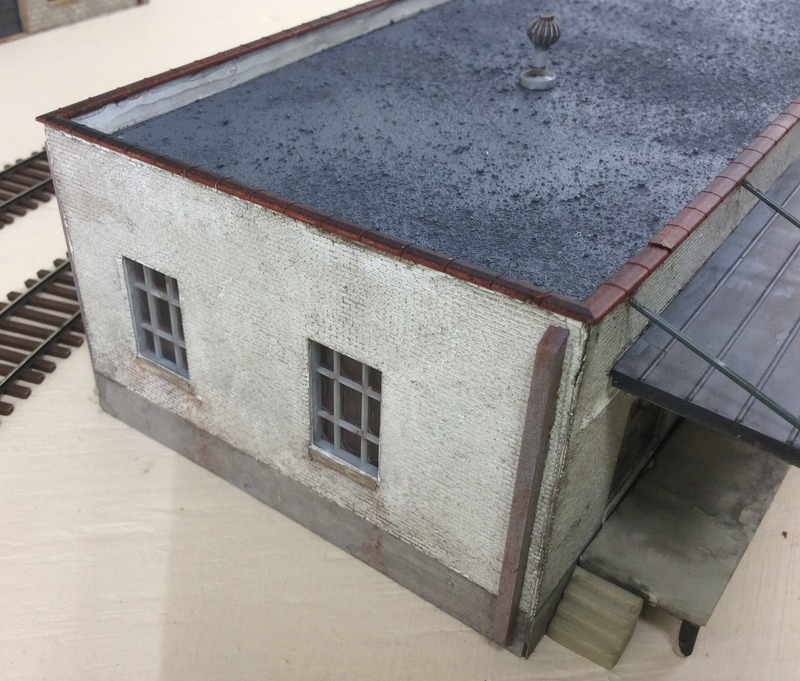 The two empty scoria cars were spotted next. 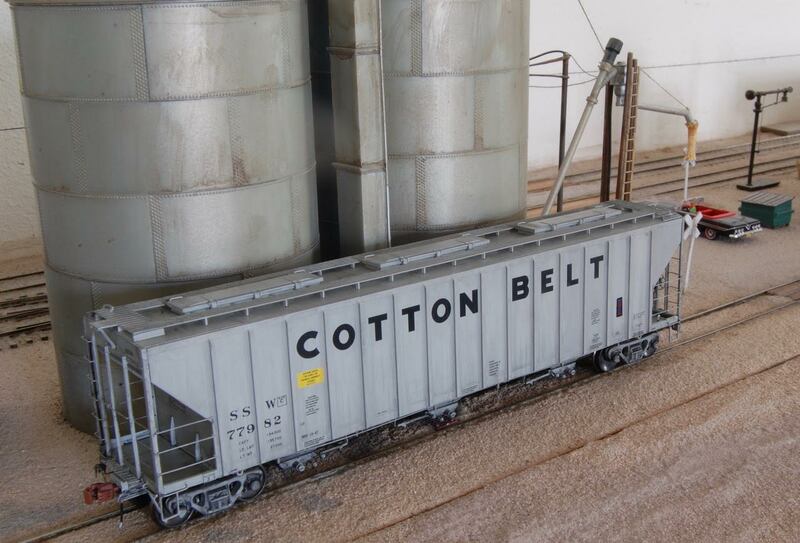 Then the boxcar of feed. Finally, the cement cars were spotted. 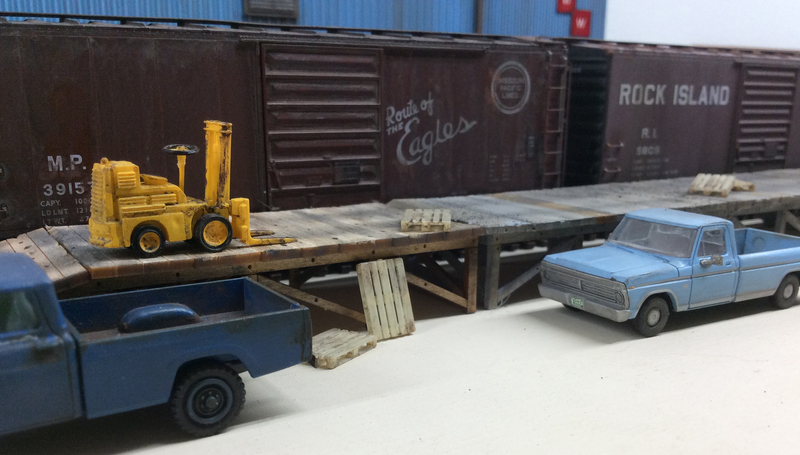 The first riprap car was already being unloaded. The caboose was picked up off the main. And the engine and caboose moved to the water plug, the crew tying up with just minutes left on their hours of service. As the sun begins to set, the much-relieved project manager wasted no time getting the auger under a car of cement and the unloading started there. Wonder how many cars will be unloaded before tomorrow’s run?